Carl’s Jr. rebranded with agency 72 & Sunny & Carrot Creative to better match with new business objectives and provide a brand direction with a more food-forward focus. 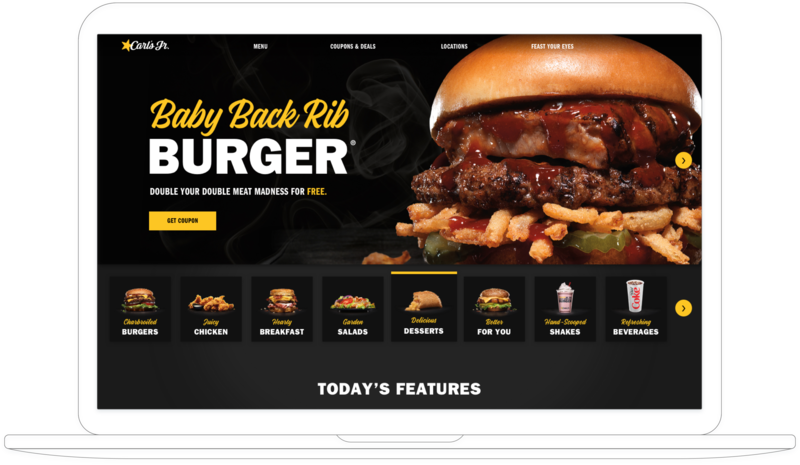 Carl’s Jr. had not updated their digital appearance in over a decade so the project encompassed an entire site overhaul. I was tasked with designing a bold, impactful eCommerce site that would ultimately drive hungry shoppers to checkout. 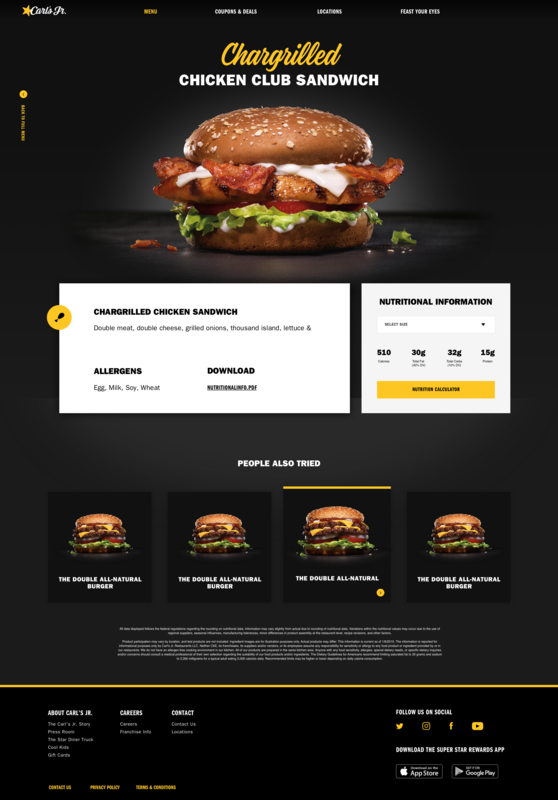 Product Display Pages land on large juicy product images that empasize the decadent richness of the Carl's Jr. image photography. 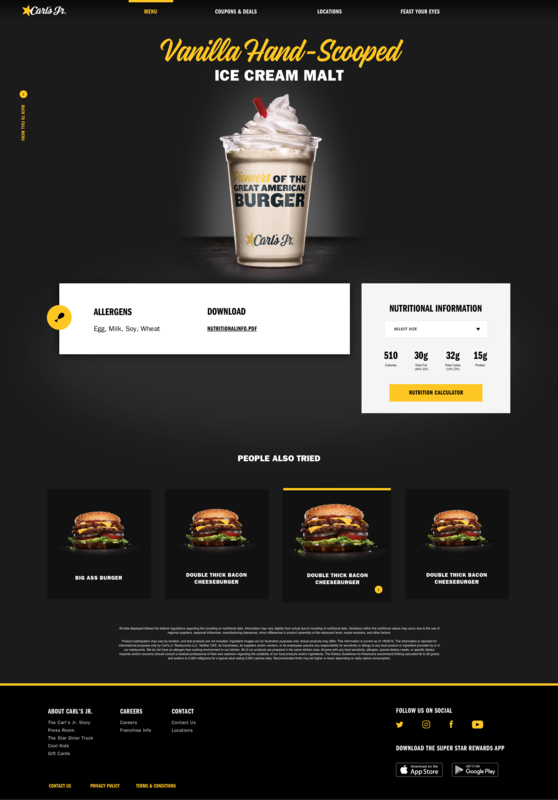 Locating a Carl's Jr. was one of the main initiatives of the site. The location page served similar to an app experience within the site. Users could either enter thier zipcode or turn on location services to locate the nearest Carls Jr. 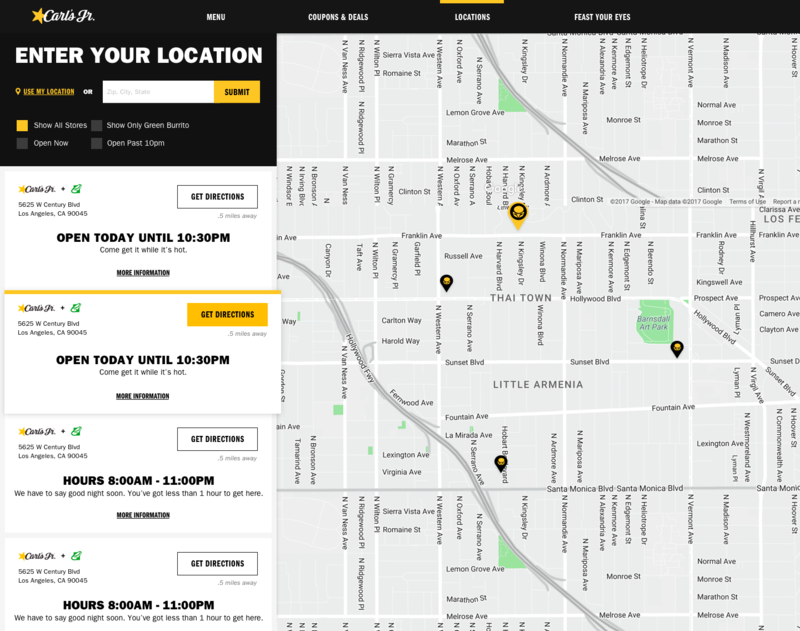 In addition to finding a restaurant, users can see what times the locations are open.